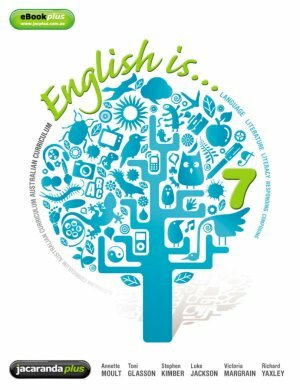 English is... English for the Australian Curriculum Year 7 Flexisaver and eBookPLUS is a shrink-wrapped, looseleaf student textbook a student binder accompanied by the eBookPLUS. Jacaranda FlexiSavers provide students with a flexible, cost-saving alternative to the student textbook on your booklist. FlexiSavers are priced at 70% of the RRP of a standard textbook. How does literature help us to understand about culture? How does today’s culture draw on stories from other times and places? What is a writer’s ‘craft’? How do narratives capture an imagined world? How does drama tell stories? How does persuasion make us say ‘Yes’? How do imaginative texts entertain their readers?